BAMMA 7’s main event for the September 10 card just took a major hit, as middleweight champion Tom Watson has been forced out of his match up with former UFC contender Frank Trigg. Trigg (21-8) will now meet Bellator veteran Jim Wallhead (21-6) in a non-title fight inside The National Indoor Arena in Birmingham, England. The event will stream live online. The extend of Watson’s (14-4) back injury was not made available. Wallhead recently took part in the welterweight tournament for Bellator, falling in the first round of the event to Rick Hawn. Prior to that loss, “Judo” had won eight straight fights. Trigg competed twice for UFC gold, but was on the verge of retiring from the sport after defeats against Josh Koscheck and Matt Serra. But, since getting himself back in the gym, Trigg has claimed back-to-back victories over Roy Neeman at Israel FC 1 and John Phillips at BAMMA 6. BAMMA 7 card (September 10th) will be lightweight champ Rob Sinclair meeting Leonard Santos and The Ultimate Fighter winner Efrain Escudero taking on Tim Radcliffe. 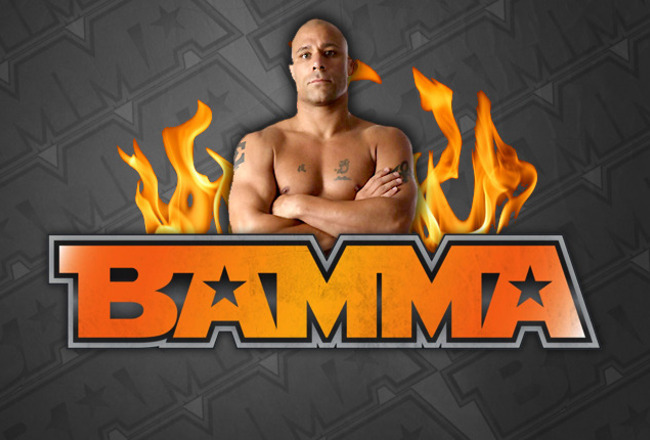 Xtreme Couture fighter Frank Trigg, is ready for his fight Saturday against John Phillips at BAMMA 6 – May 21. A 13-year veteran of the sport, Trigg has fought all over the world, but this is the first time that he will have the opportunity to fight in front of the rapidly expanding English fanbase. “Yeah, this is the first time I’ve fought out there, but I’ve been out there plenty of times with my daughter, so I kind of know the area,” according to Trigg. His opponent in the fight is Welsh middleweight John “The White Mike Tyson” Phillips. Phillips is currently on a five fight win streak including a knockout victory over James Zikic at BAMMA 4 last September. “Other than the fights on YouTube, I don’t know much about him. I’ve never met him or anything. I know he has a lot of power” , Trigg said. With all 13 of his wins coming by way of strikes, the nickname may be appropriate, but Trigg isn’t scared to stand and bang with the knockout artist. A member of Randy Couture’s Xtreme Couture gym, Trigg has the benefit of training with some of the very best the sport has to offer. “Martin Kampmann has been training with me as a lefty, and he hits really hard. Obviously Vitor Belfort…” Trigg explained. A fight that has fireworks in the making is one you don’t want to miss. Frank Trigg vs. Roy Neeman on November 9th. ESPN Radio caught up with Randy Couture and Frank Trigg at our charity GI Foundation Golf Fundraiser event last Thursday at Rhodes Ranch.